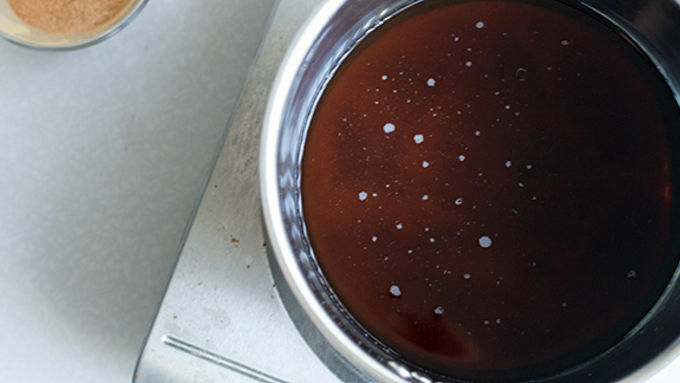 Bring brown sugar, maple syrup, and water to a simmer in a medium-sized saucepan. 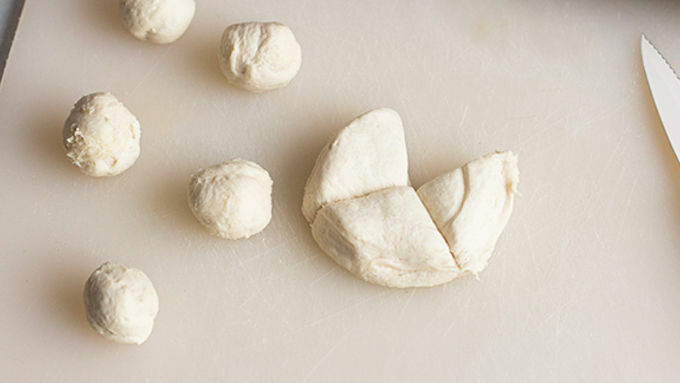 While that’s happening, quarter the biscuits and tightly roll into balls. 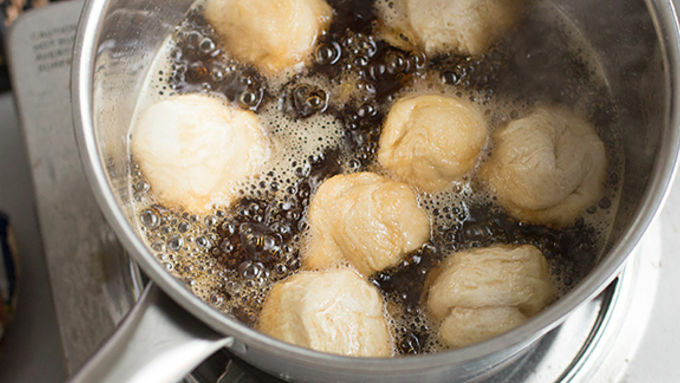 Carefully drop a few of the dough balls into the simmering sauce and cook for 3 minutes on each side. Once cooked, place on a plate to cool slightly. Mix together the sugar and cinnamon and sprinkle some over the top. Serve with reduced sauce and whipped cream. Skip the bran muffins and treat yo'self to a sweet breakfast nibble that's full of big French toast flavors. Sometimes the weekends arrive and you need a legit breakfast that’s good and healthy. Other times you want to indulge. This is one of those times. 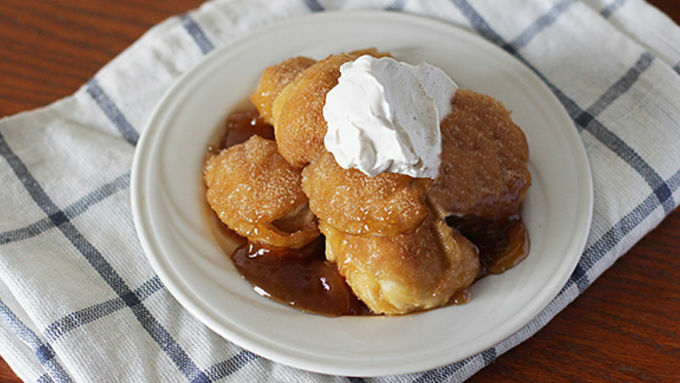 Sweet, gooey French toast-flavored bites topped with whipped cream are like a churro-donut-dumpling hybrid breakfast dream. 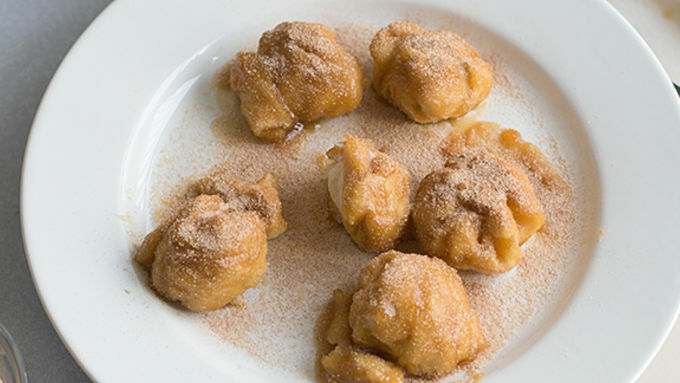 The ingredients are great because there’s only a handful: Flaky Grands! biscuits, brown sugar, pure maple syrup, and cinnamon sugar. 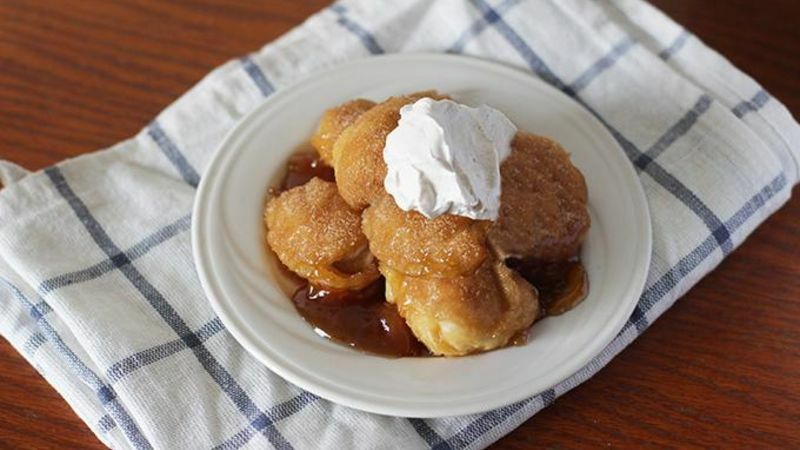 To serve, I put some of the reduced sauce onto the bottom of the plate and placed the dumplings on that, then topped it all with a little whipped cream that I sweetened with the cinnamon sugar. Perfect with a cup of coffee or tea first thing in the morning!